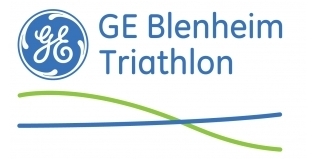 The eighth running of the GE Blenheim Triathlon took place at the World Heritage site of Blenheim Palace, Woodstock, across the weekend (9th/10th June 2012) and saw two days of fantastic racing over the Sprint and Super Sprint distances. The event annually attracts around 50% of it's 6000+ entrants as first timers, who race alongside experienced athletes plus many of the finest Youth, Junior and Senior Elite who were competing for British Triathlon Super Series and British Youth and Junior Championships honours, the Elite races won by The Brownlee brothers and Jodie Stimpson. Check out the full Tri247 coverage of the 2012 Blenheim Triathlon via the links at the bottom of this article which include race reports, video highlights and interviews. You can re-live Blenheim 2012 through GE's triVIEWER+! GE's triVIEWER brings triathlon results to life, on screen by allowing competitors to visualise their race and compare their performances against the field, friends… or even opponents! Perhaps you weren't even at Blenheim? Here is your chance to re-live the race from your computer! You can find out more about the GE triVIEWER in our dedicated section. To launch the Blenheim 2012 triVIEWER+, just choose the event you want to watch and analyse, and away you go! You can even share your race with your friends via Facebook and Twitter. (Did you race at Blenheim last year? You can find the 2011 Blenheim triVIEWER HERE too). (NOTE: race simulations and results in the GE Blenheim Triathlon 2012 triVIEWER are based on the provisional race results, and given the scale of the event there will be changes, corrections and updates to the results over the coming days due to lost timing chips, missing splits and more. We will update the finalised results in due course, so apologies in advance if you do see anything missing within the triVIEWER). Results in triVIEWER+ format: re-live your race!